Whens the dead line?Can I pick my day? When can I start? 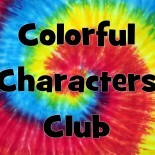 This entry was posted on January 30, 2014 by colorfulcharactersclub and tagged auditions, family, friends, fun, kid, kids, teen, teens, Tween, tweens, videos.